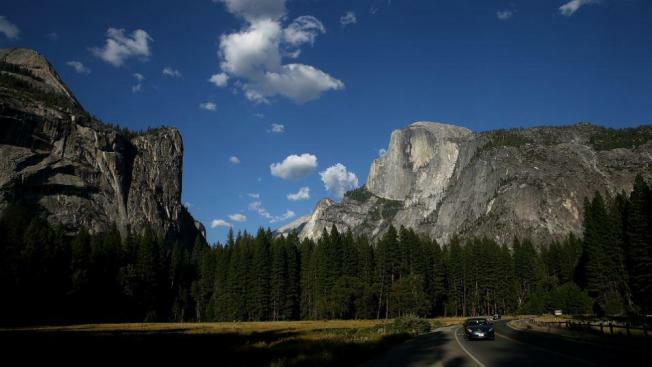 The bodies of the male and female park visitors were being recovered by park rangers Thursday morning. The deaths are under investigation, according to park officials. Authorities have yet to determine the identities of the park visitors, park officials stated. Taft Point features a lookout spot from the edge of a cliff that offers visitors expansive views of Yosemite Valley, El Capitan and Yosemite Falls. Yosemite National Park spokesman Scott Gediman says railings only exist at some parts of the overlook. Visitors can walk to the cliff's edge, where there is no railing. Last month, an Israeli teenager visiting the park fell hundreds of feet to his death while hiking near the top of 600-foot-tall Nevada Fall. The death of 18-year-old Tomer Frankfurter was considered an accident, the Mariposa County coroner's office said.